Did you read that big Ad on almost every news paper saying “Blue collects 100 Crores in revenue”? And, more importantly did you read the same movie’s review on any newspaper or website? Quite contrasting. Right? Call it a normal phenomena or astute strategy but this has surely taken toll on almost every new Bollywood release! These days movies are known not by their general reviews but by how much collections they are able to make at Box-office. I have even seen Directors and Actors trying to prove critics wrong by telling them numbers. I saw one interview of Akshay where he assured “Who says ‘Chandni Chowk to China’ is a flop? The movie was able to recover most of its expenses.”. Now, who cares about that? Whether you are making money or not, if viewers don’t like a movie how can it be called a hit? Moreover viewers understand that making money (recovering) has become really easy these days for Producers of the Movie. The real loss has to be borne by Distributors of the Movie. Also, due to multiplexes and simultaneous overseas releases most of the movies recover their money during first two weekends only! That means even before the verdict is out for any movie, chances are that it may already have recovered its costs (or in some cases have generated profits too). But does that mean the movie is a HIT? That means for any big budget movie, it can’t be considered as hit until it fulfills the great expectations of huge mass. 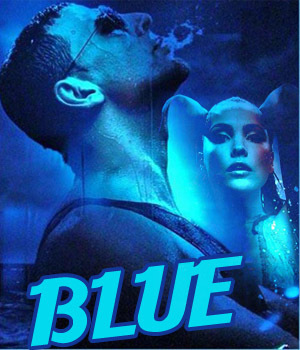 “Blue” can’t be considered as a movie which should be called a hit if it covers it’s production cost. For a movie which is made for more than 130 Crores the expectations are huge and the definitions of “Hit”, “Super hit” or “Blockbuster” changes for such movies. For e.g. “A Wednesday” was only able to generate some 40 Crores but still it was a super hit, based on the fact that production cost was very less and there were no great expectations with the movie. What do you think? Is it fine that producers use such dubious methods to attract viewers? Or you think that our junta is smart enough to not fall prey to such fake strategies? I absolutely agree with the take… Collections cannot be a measure of a hit or flop of the movie. The whole industry works on fake news. Anyone who has seen Blue will know that it doesnt take 100 crores to make that turkey. Even with the inflated salaries to the people involved in the movie, it doesnt reach that number. And the trade houses which are supposed to keep track of the collections are sold out. No wonder all the confusion and chest thumping. A good try Rabi……but article is missing concrete facts. You can’t rate movie on the basis of ratings given by famous critics (or critics) in news channels and newspapers. Everyone knows how manipulated ratings are given in papers like timeofindia and hindustantimes . “General reviews” are not decided by people like you and me, but by the money collected by the movie in the end. On basis of this we can say “My name is Khan” is super hit before its release (Rs 100+ crores for distribution rights)……Wow. In the end money and numbers matter !